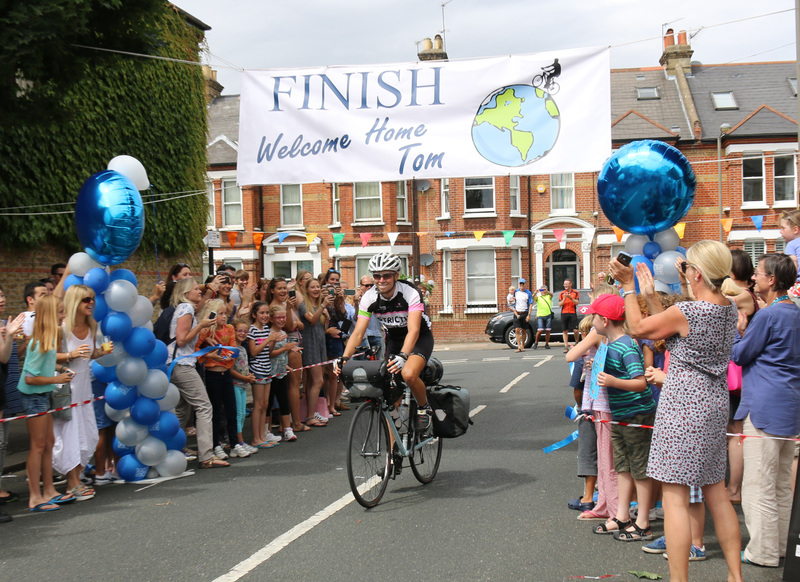 I am writing to you to let you know about 19 year old Tom Davies, who arrived back home in London today, having cycled around the world, and believes himself the youngest person to achieve this feat. .
Sunday 9th August, Battersea, South West London. 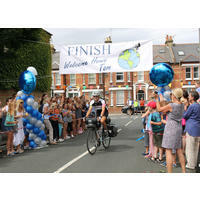 19 year old Tom Davies arrived back home in London today, having cycled around the world. He was welcomed back by a group of family and friends, including parents and children from Hornsby House School, where he was a pupil and worked as a gap assistant during the autumn term ahead of his big trip. 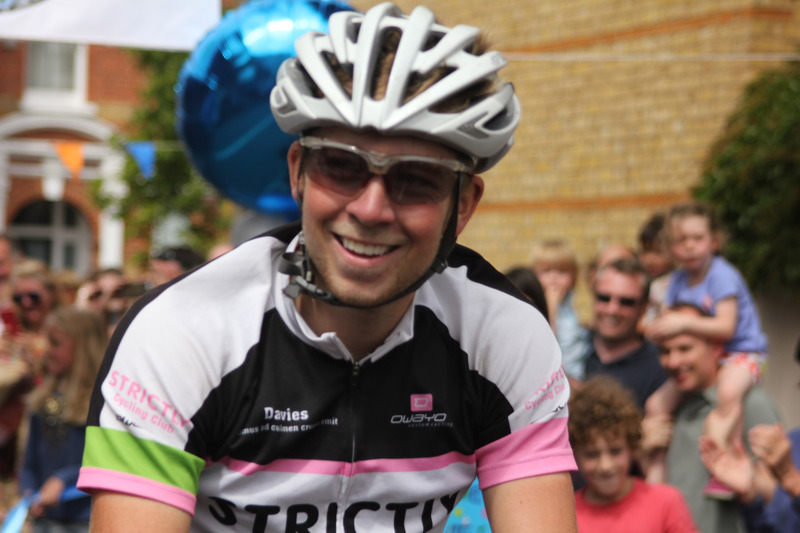 Tom set off from Battersea in South West London on 17th January 2015 and has cycled over 18,000 miles across Europe, Asia, Australasia and North America. Although this is not an official Guinness World Record, since “youngest” records are not recognised, Tom believes he is the youngest person to have done it. He has also made sure he has fulfilled all the key criteria for a round the world trip, such as using the same bike frame throughout, starting and finishing at the same point, riding in one direction, covering at least 18,000 miles and passing through two antipodal points – in his case, Wellington in New Zealand and just north of Madrid in Spain. Tom has been a keen cyclist throughout his teenage years. At the age of 15, he cycled to Chamonix with his father and he rides regularly with Strictly CC, a South London cycling club. The trip has been an enormous personal challenge and, although he has received much kindness and hospitality from many different people around the world, he has needed to be almost entirely self-reliant. He has had many adventures along the way, including being held up by snow in Greece, being chased by dogs in Albania, and crossing the Nullarbor Desert in Australia, but has not let anything deter him. Tom has also been raising money for three very worthy charities: Sohana Research Fund, Prostate Cancer UK, and Carney’s Community. Sohana Research Fund is focused on funding research to find a cure for Recessive Dystrophic Epidermolysis Bullosa, a genetic skin blistering condition, while Carney’s Community is a small charity that works to turn around the lives of disadvantaged and excluded young people. 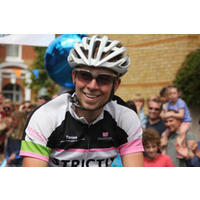 To date, Tom has raised over £50,000, which will be shared between the three charities. Detailed information about the charities can be found on their websites: www.prostatecanceruk.org, www.sohanaresearchfund.org and www.carneyscommunity.org. Hornsby House is a co-educational prep school for 4-11 year olds in Wandsworth, southwest London, and is a member of IAPS (The Independent Association of Prep Schools). I was amazed to get media almost everywhere for Tom using RelevantNow. Their website was really comprehensive and easy to work, and without it we would never have had achieved the level of coverage on radio, newspapers and television that ensued. Obviously as Tom's mum I was incredibly proud of his achievement, but through RelevantNow the message was spread far and wide (not just in the UK), and has meant that the names of his three charities (Sohana Research Fund, Prostate Cancer UK and Carney's Community) have reached a new public. Distributed by RelevantNow to 259 media. Read online by 276 people including emails, social media and the web.